Anyone who knows me knows I’m not that big on the whole Christmas thing. God knows I’m not religious – see what I did there? – but it’s not because of that. 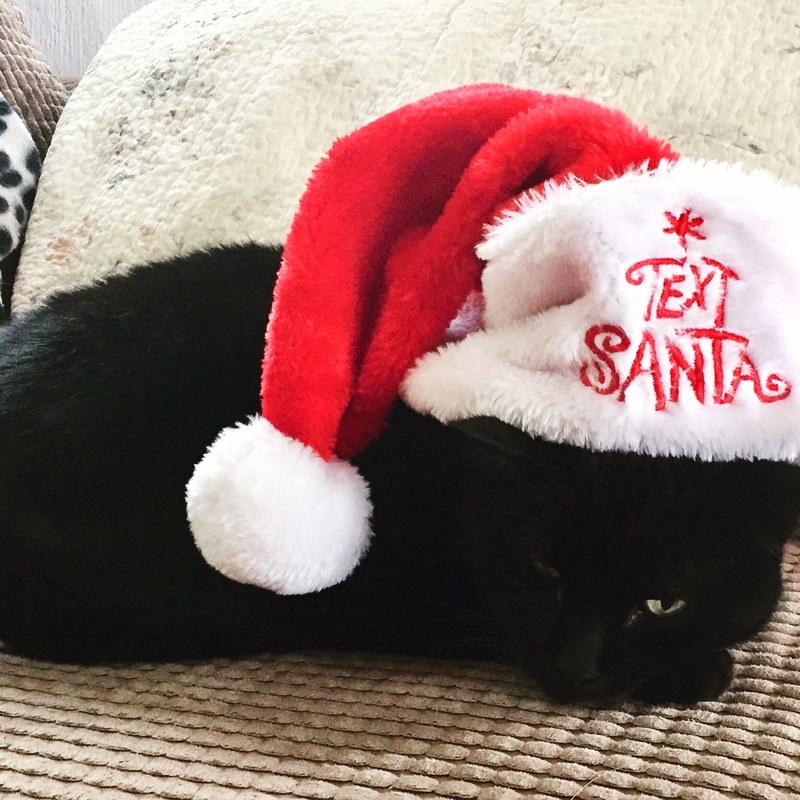 Black Jack is always excited about Christmas! When we lived in the UK, I found the rampant commercialism depressing; in-yer-face adverts from the moment the kids went back to school urging us to buy this, buy that, and borrow money if we couldn’t afford it. Then there was the day itself. I loved getting up with the kids, their excitement when they saw Santa had been. Those lazy couple of hours as they opened stockings and we chilled out together were precious every year. But after that, it was quite stressful. I spent most of the day in the kitchen and running around after various relatives, when all I really wanted to do was work my way through a family-sized box of Celebrations in front of Doctor Who and the Strictly Come Dancing special. Now we’re in Turkey – a country that doesn’t really ‘do’ Christmas as most of the population is Muslim – and I feel differently. We can choose to partake in whatever celebrations we like without obligation – or not. There are carol services and festive get-togethers should we feel the need for them. (I rarely do.) One Christmas Day, we went to Ölüdeniz beach and got sunburned watching the paragliders floating down to earth from Babadağ. Another, we did a 12km walk around Fethiye peninsular before enjoying lunch with some dear friends. It’s very liberating. We’re untouched by the endless Christmas advertising whipping us up in a frenzy, convincing us to spend money we don’t have on tat we don’t need. We can put up our understated tree and few carefully chosen decorations and enjoy them without feeling like we should have done more. Nobody is judging us. We’re untouched by the endless Christmas advertising whipping us up in a frenzy, convincing us to spend money we don’t have on tat we don’t need. There’s no need to stock the cupboards with enough food to feed the whole village for a week just because the shops shut for a day and we might run out of milk. Christmas is also the one time of year when I let my guard down and open some of the emotional boxes I’ve kept so carefully sealed. That’s part of Christmas too. Allowing myself to acknowledge the pain and grief I still carry. Last week, the stonemasons sent us a photograph of the headstone for my grandmother’s grave. It’s been nearly three years since she died – things were delayed for various reasons – but I still miss my Nonna terribly. She was the one constant female presence in my life, from my birth until her death. She wasn’t ‘there’ in her later years, when dementia set in. I mourned then, and I mourned again when she left me physically. That photograph ripped off the sticking plaster and showed the wound beneath was still raw and unhealed. Usually, I’d fight to cover it quickly again – but not at this time of year. I wept for my Nonna and then I wept for my mother, who died 36 years ago. She would have had her 66th birthday earlier this month. I cried for all that both she and I missed, for the loss of what we should have had. I still rage at whatever fate decided she should be taken away so soon. And that’s part of Christmas too. Remembering, allowing myself to acknowledge the pain and grief I still carry – and always will – without guilt. Self-indulgence. Not with chocolate, wine or expensive gifts, but with emotions. I love turkey for Christmas. In more ways than one. This entry was posted in General and tagged celebrations, Christmas, Christmas in Turkey, festive season, holidays on December 21, 2018 by theparsleys.